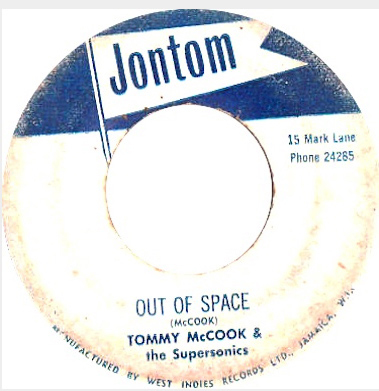 After last week’s reggae-heavy spotlight on Willie Francis’ LITTLE WILLIE LABEL, we decided to take this week’s spotlight on the Bovine Ska back to the ska and rocksteady with the JONTOM LABEL, which features tracks from one of our favorite producers, Phil Pratt. That spotlight begins about halfway through the program, so before that, you will hear some reggae, mento, and ska. At the second hour mark, we were happy to finally present an eleven track spotlight on Phil Pratt’s Jontom label. 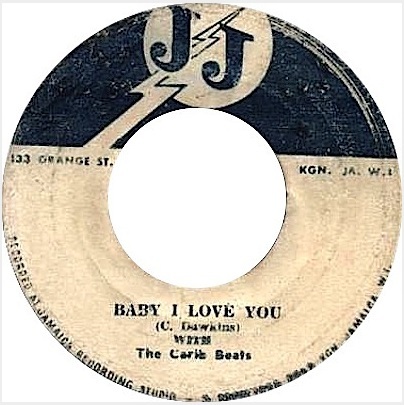 Ken Boothe, who recorded “The One I Love” for Jontom, has an integral role in the creation of Phil Pratt and Ken Lack’s collaboration at Caltone and eventually Jontom. When Phil was trying to work with Coxsone, he met Ken Boothe. Ken introduced him to Roy Shirley, who introduced him to Bunny Lee, and Bunny Lee introduced Pratt to Ken Lack. To close the show, we had a smooth set of rocksteady that included the ever-so-pretty “Mother Pepper” from Desmond Dekker, “Home, Home, Home” from Derrick Harriott, and “What To Do” from Roy Shirley. You can listen to our full Bovine Ska and Rocksteady from January 19, 2016 HERE. Subscribe to our show on Mixcloud; it’s FREE, and you’ll get an email every Tuesday when we post a new show. For all of our listeners on the east coast, we hope this show keeps you warm!!! Please help us and spread the word and repost if you liked the show! For news on the upcoming spotlights and fun discoveries tied to early Jamaican music, join the group for the Bovine Ska and Rocksteady on Facebook. Earl George Cooks On Little Willie! Hello Bovine Ska and Rocksteady Listeners! We did a splendid show for you this past week with a spotlight of the rare Jamaican label, Little Willie. About midway through the show, you can check out a the thirty minute Little Willie spotlight of top flight reggae from 1971-1974. Our show started with two sets of rare ska beginning with Llans Thelwell and His Celestials and their 1964 cut for Federal, Mughead Ska! We ended the second set with a classic from the trombone of Don Drummond on Beverleys, Dragon Weapon. After a mento set featuring a tune from the queen of mento, Louise Bennett Hol’ M Joe on Folkways. We ended the first hour with a reggae set that contained a version to version of the Curtis Mayfield classic, Give Me Your Love from the Superfly soundtrack. 1973’s Super Soul from Junior Soul and Superfly from I-Roy from 1974. We then went into our Little Willie label spotlight. Born in South Manchester, Jamaica, Willie Francis began his career in the Jamaican music industry as a singer in ska. After recording for Prince Buster in the late 60s under the name of Francis, by the time early reggae arrived, Willie opened up the Little Willie Record Label, where he released his own recordings as an artist and as a producer for other musicians. 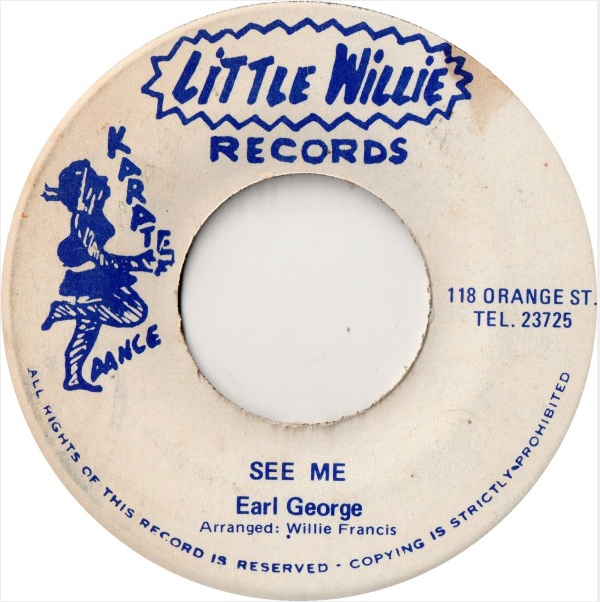 Operating from Francis’s record store on Orange Street, the Little Willie Records label, sometimes called Little Willie Karate Dance Records for the dancer on the label art, released quite a few great reggae cuts that we’re excited to share with you tonight. Of the artists who stopped by Little Willie, Max Romeo went to the label to record Maccabee Version, which indeed uses the melody of “Good King Wenceslas” and intended to criticize the King James translation of the bible. Searching in the Hills was the debut recording for Calvin Scott, who Willie discovered as a teenager. Willie traveled to Rocky Point, Clarendon to record a group named the Rockydonians. Calvin was the brother-in-law of one of the members, so he hung around them. When the group arrived to the studio, they did not record for Willie; instead Calvin did. Almost ten years later, Calvin would emerge as the artist Cocoa Tea, who has continued to record reggae and has also been quite an influence on dancehall. You can listen to our full Bovine Ska and Rocksteady from January 12th, 2016 HERE. Subscribe to our show on Mixcloud; it’s FREE, and you’ll get an email every Tuesday when we post a new show. Happy December!!! Please help us and spread the word and repost if you liked the show! Repost anywhere you see fit. Join the group for the Bovine Ska and Rocksteady on Facebook. See you here next week! After two weeks of theme shows, we came back this week with our time-tested recipe for The Bovine Ska that included a spotlight of an early Coxsone imprint, Rolando And Powie which started midway through the show. We dedicated this show to vocalist Jimmy Riley of The Sensations and The Uniques who recently announced on his official page on Facebook that he was in poor health. We send him and thoughts and prayers for a full recovery. To honor Jimmy Riley we started our show with his wonderful rocksteady from 1968 on Coxsone You Should Have Known and then followed with a version from The Gladiators, Tribulation. The second set of rocksteady began with a rarely heard Melodians cut on Treasure Isle, a beautiful harmony on Somewhere from 1967. After a nifty mento set which featured The Wrigglers 1960 tune, Little Boy which was released in 1960 Kalypso LP The Wrigglers Sing Calypso At The Arawak we threw out a scorching ska set that began with one that we have never played on the Bovine Ska, Love Is All I Had by The Federal Singers on Federal Records. Right after the ska set, we went right into our spotlight on the Rolando And Powie Label. As a young man, Coxone Dodd moved to Florida to work as a crop picker, and during this time, he immersed himself in American Rhythm & Blues, which he had known via Tom the Great Sebastian’s soundsystem, but being in America, he was able to hear the latest hits and see live performances, giving him a new insight into the music. Consequently, when he moved back to Jamaica, Coxone Dodd opened up his Downbeat soundsystem, playing records he would regularly bring back from trips to America. As rock ‘n roll overshadowed rhythm and blues America, Coxsone decided to to record Jamaican musicians and to play fewer American records at his soundsystem. Initially, these recordings were only created as Dub plates, but upon realizing that commercial potential of the music played at the Downbeat, Coxsone Dodd began opening his own record label imprints, allowing the one off songs recorded on Dub plates to be enjoyed by anyone with a record player or via DJs on the radio. During the sessions that produced singles for Coxsone Dodd’s labels, Dodd relied heavily on the talents of Rolando Alphonso, who was well known across the music industry as an excellent saxophonist and as a result was in high demand from multiple producers. 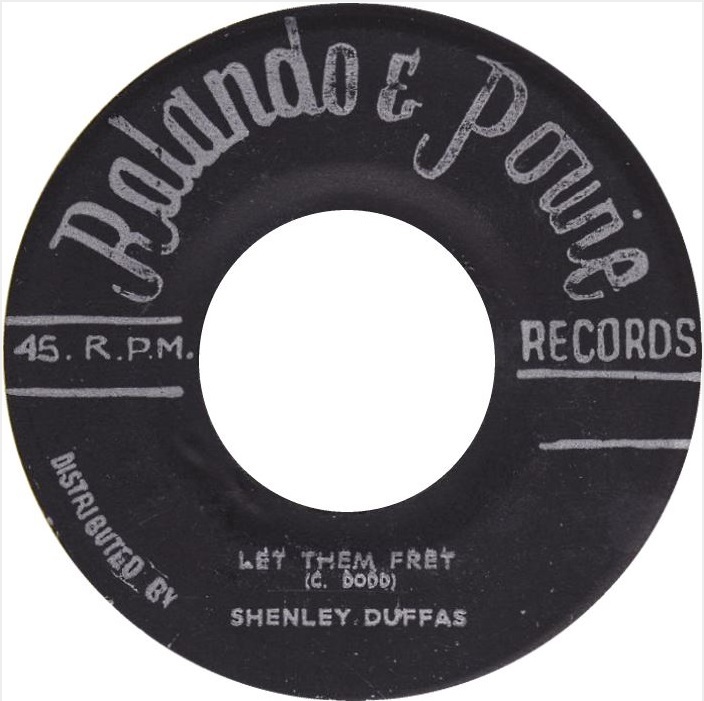 Powie, a Chinese Jamaican friend of Roland’s, opened up the Rolando and Powie label, with Powie paying for the recording sessions that Roland performed on. In less than a year, Roland decided to record more for Coxsone, so Dodd bought out the Rolando and Powie label and used it to release his own productions. We kicked off this spotlight on the Rolando and Powie label with Powie’s Hop, a track referring to Powie and one backed by the Alley Cats, a group that Rolando helped form and would be the key group to initially record for the label before Coxsone took it over. You can listen to our full Gladdy Anderson retrospective from January 5th, 2016 HERE. Subscribe to our show on Mixcloud; it’s FREE, and you’ll get an email every Tuesday when we post a new show. Happy New Year Bovine Ska and Rocksteady Listeners! Another tradition fulfilled this week as we on The Bovine Ska have produced our nineteenth New Years show where we play the first recordings of many of your favorite Jamaican artists. In some cases, the artist was part of a vocal group and we noted this when we backtracked each cut. Here are some of the tracks we played during this show. Alton teamed up with Eddy Parkins after winning a few contests to record for Coxone Dodd. Muriel is believed to be one of Coxone’s first recordings aimed at commercial, rather than sound system release. Beyond Alton’s debut, this was a special track because it was written by Alton himself while he was worker as a laborer on a construction site. After seeing some success with his performances at Vere John’s talent shows, Eric Monty Morris teamed up with his neighborhood friend Derrick Morgan to record for Simeon Smith. After moving to Trenchtown and gaining more experience with the growing Kingston music scene, Bob met Jimmy Cliff and Derrick Morgan, who together in 1962 would introduce the 17 year old Marley to Leslie Kong. Kong would record and release Marley’s first song, Judge Not, with Bob under the pseudonym Bobby Martell, a stage name given to Marley by Jimmy Cliff. As a young man, Desmond Dekker was a welder in Kingston. Here, he would sing with his co-workers and eventually, given his voice and talent, his co-workers convinced him to pursue a career in the recording industry. Dekker auditioned for Coxone Dodd first without success, and then traveled over to Leslie Kong, who signed him to a record deal. In 1962, Dekker’s first recording, Honor Your Mother and Father, a song Dekker wrote himself and was the one he auditioned with for Kong, was released on the Beverley’s label. Cut as a dub plate for Sir Cavalier’s sound system, Jimmy Cliff recorded I’m Sorry a little before his formative years at Leslie Kong’s Beverley’s label. As a young man, Hopeton Lewis sang at the Burnt Savannah Holiness Church, which nurtured and encouraged his talent and passion for music. Upon entering the music industry, Hopeton Lewis joined the vocal group, The Regals, who first recorded for Coxone Dodd and his Wincox label. Junior Soul, born Murvin Junior Smith, learned how to sing from the phenomenally talented Eric Monty Morris and Derrick Harriot and gained his stage name when he would perform for people with Jackson Jones. When he first decided to record, he went over to Sonia Pottinger’s Gayfeet label to record Miss Kushie in 1966. You can listen to our full Gladdy Anderson retrospective from December 29, 2015 HERE. Subscribe to our show on Mixcloud; it’s FREE, and you’ll get an email every Tuesday when we post a new show.